This is a project of the Coasts research theme, part of the Biogeography and Biogeomorphology thematic research group. The main project website has more information on this project. The response of salt marsh and adjacent tidal flat sediments to wave forcing is considerably more complex than that of sandy shores, largely due to (a) the large silt/clay fractions present and thus the cohesive nature of the sediment involved and (b) the presence of (partially mobile) biological 'structures' (plants and other organisms) within and on the surface. Little is known about the types of hydrodynamic conditions that lead to erosion of these coastal features and of the damage salt marsh plants sustain under wave forcing. However, until we have such knowledge, it will not be possible to predict the way in which the future morphology of these systems, and thus the degree of natural coastal protection that they will provide, will alter with sea level rise and climate change. 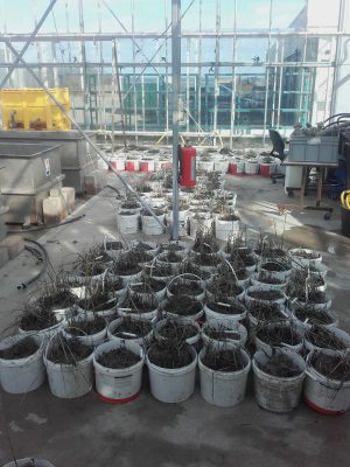 These issues are particularly critical in the early stages of marsh establishment and growth. protection provided by novel artificial stabilisation as a restoration measure. This project is led by the University of Cambridge (Dr Iris Möller) and conducted in collaboration with the Royal Netherlands Institute for Sea Research, the University of Hamburg, Antwerp, Braunschweig, and Hannover. 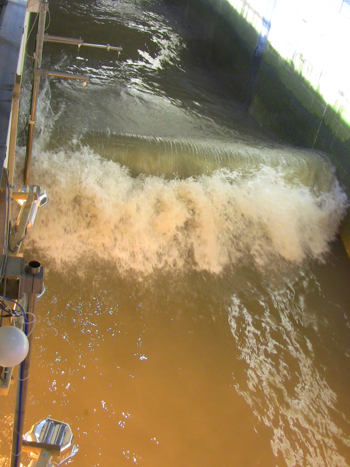 For further details, see our project blog and funding programme for access to large-scale facilities, alongside information on the large wave flume facility in Hannover. This project is closely linked to a NERC standard grant (NE/R01082X/1) on the 'Response of Ecologically-mediated Shallow Intertidal Shores and their Transitions to extreme hydrodynamic forcing in UK settings (RESIST-UK)', led by the University of Cambridge (Dr Iris Möller) in collaboration with Queen Mary University of London and the British Geological Survey and to the NERC BLUEcoast project (NE/N015878/1). Other Cambridge Coastal Research Unit staff involved: Professor Tom Spencer, Helen Brooks, Elizabeth Christie, Ben Evans.